Joe Denly is not ruling out opening the England batting in the Test series against Sri Lanka, nine years after his last cap, in a one-day international. The 32-year-old hopes to make his Test debut on 6 November after the end of the ODI series, which England lead 2-0. Denly was part of the original Test squad and has also been called into the ODI squad to replace Liam Dawson. “I’ve been told to prepare for all positions, whether that be one, two or three, or the middle order,” he said. 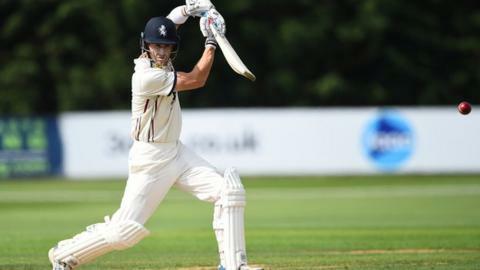 The Kent captain, a batsman originally but now considered an all-rounder because of his blossoming leg-spin, averaged 34.50 with the bat in first-class cricket last term and 57.54 in 2017. He also took 23 first-class wickets at 18.52 with his leg-spin in 2018, the best haul of his career, plus 14 wickets in 50-over cricket, and was the Players’ Player of the Year at the Professional Cricketers Association awards in London – one of four wins for Denly at the PCA awards. “Regardless of where you are in your career I think if you’re consistently performing and doing well for your county there’s always a chance that England selection might happen,” he added. England’s rain-affected one-day series with Sri Lanka continues in Pallekele on Saturday with the fourth match of five. Following the ODI series there is a one-off Twenty20 international in Colombo on Saturday, 27 October, with the three-match Test series starting in Galle on 6 November.